Humans have been in El Salvador as long as they have been in Central America. They first passed through while migrating from North America between 10,000 and 12,000 years ago. The oldest evidence of humans in El Salvador come from cave paintings dating back to at least 6000 BC. These caves are in the Department of Morazan, in the northeast of the country. 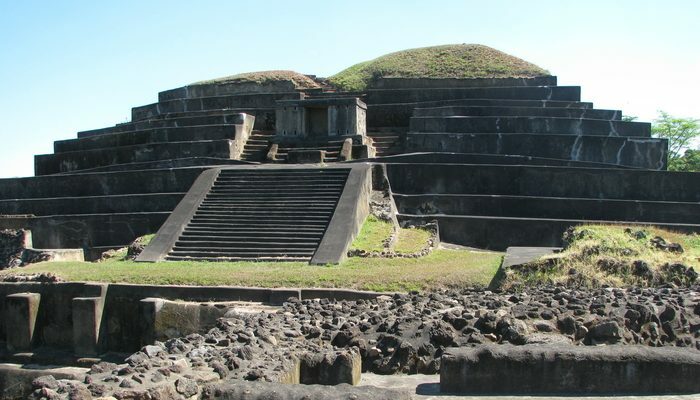 From those first settlers came a series of Pre-Columbian civilizations that left their mark on El Salvador. 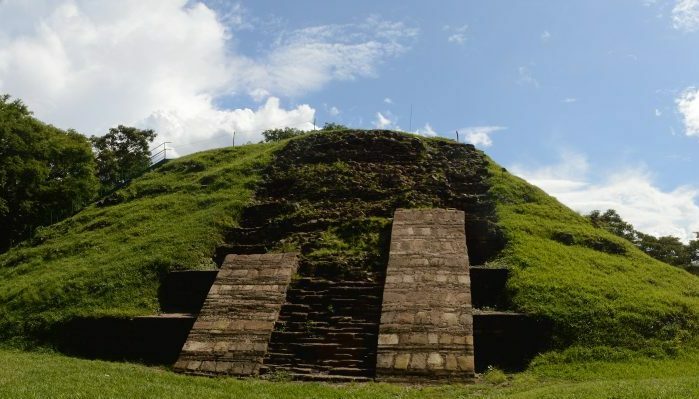 The first civilization was the Lenca people, who built towns and cities in the area. Then came the first major civilization to develop in Central America, the Olmecs. They ruled over southern Mexico and Guatemala but also spread into western El Salvador. Some of their pyramids and sculptures dating from around 2000 BC are still around today. The Olmec Empire crumbled around 400 years before the birth of Christ. The Mayan Empire rose from its ashes, they too settled in parts of El Salvador and prospered. Sometime in the fifth or sixth century, the Ilopango Volcano in central El Salvador erupted. This caused devastation to the Mayan cities in the region. It decimated the population and wiped out agriculture for decades. After the eruptions, the Mayans evacuated El Salvador. It would be many years before anyone could return. The Pipil people were the first new migrants post-Ilopango to arrive in El Salvador in the 11th century. It was the Pipil, who called their land Cuzcatlan, who were dominating the region when the Spanish showed up some 400 years later. To this day the name Cuzcatlan is an alternate word to describe El Salvador. The name is a source of national pride. The Cuzcatlecos, as the Spanish called the Pipil, built their capital city where the modern capital San Salvador stands today. They became wealthy trading with the Aztec Empire to the north and by cultivating cacao. They also mastered complex irrigation techniques. 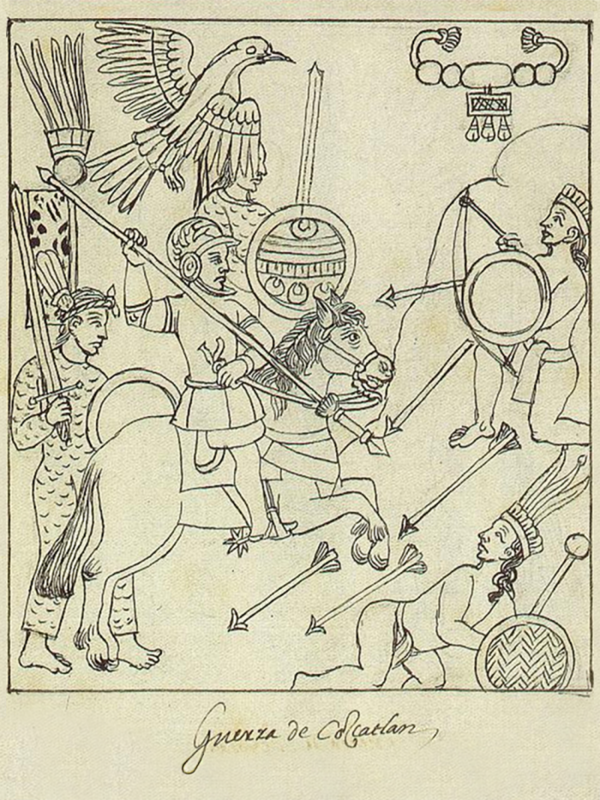 The Pipil are one of the more interesting if little-known about, civilizations of the Pre-Columbian Americas. The first European influence to affect the land of Cuzcatlan came before the Spanish even set foot in the country. When the Europeans first arrived in the New World, they brought with them their diseases. These were unknown to indigenous Americans and tore through them like hurricanes. By the time the first Spanish army arrived under the command of conquistador Pedro de Alvarado in 1524, three years after the navigator Andres Niño sailed into the Gulf of Fonseca and “discovered” El Salvador, the Cuzcatlecos had already been ravaged by smallpox. That said, they were still in good enough shape to fight. Pedro de Alvarado got a bloody nose when he entered their land, finding savage resistance where he expected none. The Cuzcatlan army put the Spaniards to flight time and time again. It took four years, until 1528, for Spanish forces to finally conquer them. What the Spanish expected – with some arrogance – to be an easy task turned into a grueling campaign of conquest with massive losses on both sides. Once conquered, El Salvador became part of the Captaincy-General of Guatemala. From 1528 until 1811 El Salvador existed to enrich the Spanish crown and the settlers who moved there. It became a wealthy part of the Captaincy-General, fertile with cotton plantations, balsam, and indigo fields. In colonial El Salvador, they say there were 14 families who ran the place, while everyone else worked for them. As in most of the Spanish Empire, this inequality created the first resentment against the elites by the people. It started the path towards independence. The elites also wanted to be rid of the Spanish to whom they were paying taxes and tribute to. 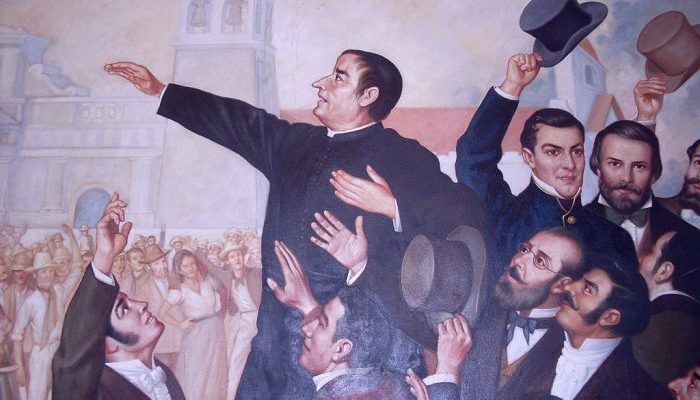 On November 5th, 1811, a priest called Jose Matias Delgado rang the bells of the La Merced Church in San Salvador. He called for the people to get together to proclaim the independence of the colony of El Salvador from the Captaincy-General and Spain. This day became known as the Primer Grito de Independencia (the first shout of independence). Although his initial shout failed, it soon became a roar that started to echo throughout Central America. Ten years later, in 1821, Central America was finally free as the Captaincy-General of Guatemala, made up of El Salvador, Guatemala, Honduras, Nicaragua, and Costa Rica (as well as the present Mexican state of Chiapas) broke away from Spain and became the short-lived Federal Republic of Central America. Of all the countries that made up the newly independent Central American union, El Salvador was the most enthusiastic. The first president of the Federal Republic, Manuel Jose Arce, was a Salvadoran and San Salvador was the capital from 1834 to 1838. As the fellow provinces squabbled about whether to join Mexico or not, El Salvador was the most opposed to any union and vowed for full Central American independence. The Federal Republic collapsed in 1839, riven by infighting among the provinces. El Salvador tried to make a go of it with Nicaragua and Honduras in the late 19th century but for all intents and purposes, after 1839, it was on its own. As the 20th century dawned, coffee was now king in El Salvador. The descendants of those fourteen families became the leaders of a coffee oligarchy. This gave them immense wealth while everyone else languished in poverty. These elite families selected their presidents from amongst their own. They built infrastructure throughout the country but also repressed the working people with anti-vagrancy laws to keep them from moving around and other tactics. El Salvador’s economy was dependent on coffee, but only two percent of the population saw any of the profits from it. 98 percent saw nothing at all. The stock market crash in 1929 devastated the coffee market. Prices dropped and the Salvadoran economy tanked. Already repressed and living under feudal conditions, the socialist activist Augustin Farabundo Marti led an army of poor indigenous and peasant people to revolt against the elites in 1932. This revolt was viciously put down by massacring 30,000 people. 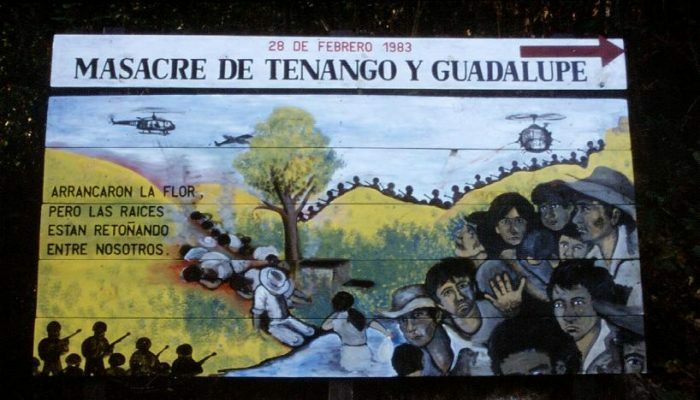 Between the massacre in 1932 and the 1970s, El Salvador’s people suffered under a continuation of authoritarian presidents selected from the elite families of oligarchs. Most of these presidents were military strongmen and the country was in a state of dictatorship in all but name. Efforts to topple military rule in El Salvador came to a head in 1972. This was when the majority voted for the co-founder of the new Christian Democrat Party (PDC), Jose Duarte. Despite winning the 1972 election in a landslide, Duarte never became president. The elites stole the election and denied him power. The regime arrested and tortured Duarte, and exiled him to Venezuela. His exile was the death blow to the thought that democracy in El Salvador could succeed without violence. The anti-military-rule faction started to organize underground. At the same time, the government created death squads to deal with Duarte’s supporters. Things came to a head in 1979 when the government fell to a combination of civilian and military officials that called themselves the Junta Revolucionaria de Gobierno (JRG). The JRG was an unlikely mixture of left and right leaning officers and politicians. At first, it was seen a force for good and change in El Salvador. Although it was undemocratic, people hoped that the Junta could address the burning issues of inequality and poverty in El Salvador. They failed in doing this and brought themselves into conflict with both the far left and the far right. Both sides felt that the JRG let them down and lied to them. The JRG turned to the traditional repression techniques that had become standard in El Salvador. They used the army to kill political opponents on both sides and set the climate for all-out war. 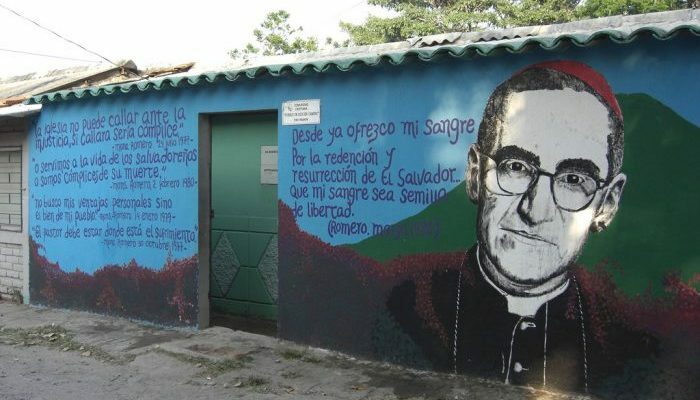 The assassination of the Archbishop of San Salvador, Oscar Romero by a government death squad in March 1980, while saying mass, was the last straw. Romero had been denouncing the JRG’s repressive measures for some time and his death tipped things over the edge. By this time the JRG had forced the resignations of all civilian members of the Junta. It was now ruling as a right-wing military dictatorship. The funeral of Archbishop Romero showed the JRG’s true colors when government snipers picked off and murdered 42 mourners. The anti-government forces were called the FMLN (the Frente Farabundo Marti para la Liberacion Nacional, named after the same Farabundo Marti who rose against the elite in the 1930s). They had been mobilizing in secret throughout the 1970s and exploded onto the scene in 1980, taking over entire regions of the country by 1981. The JRG responded with force. They used terror tactics designed to scare the civilian populations into giving up or denouncing the FMLN. This went on for 12 years. The JRG were backed by the United States and the FMLN were backed by Cuba. Both sides received money and military training from their sponsors to prolong the war. Both sides committed massacres, and estimates are that more than 75,000 people died during the conflict. Many more than that “disappeared”. Alongside the appalling death count and countless disappearances throughout the 1980s, it is also estimated that more than a million people – one in five of the Salvadoran population – were displaced. 40 percent of those displaced people’s homes were completely destroyed. The social and economic damage to El Salvador is indescribable. And all the time, in the background, government-backed death squads kept on operating. By 1988 the JRG had long since given way to a series of right-wing presidents propped up by the army and the United States. These presidents were figureheads only, as it was the army who was running things and continuing to take the war to the FMLN. By the end of the 1980s, President Alfredo Cristiani was ready to defy the army and sit down to negotiate. His presidency had faced some of the bitterest fighting from the FMLN who had launched a major offensive in 1988. , This offensive was successful, bringing the war into San Salvador for the first time. It shook up the wealthy citizens of the capital who had remained unscathed for much of the decade. It was time to talk. Negotiations between the government, the army, and the various FMLN factions began in 1990. The United Nations and the Catholic Church presided. By the end of 1991, a deal was made which involved the army reducing its numbers by 70 percent, and the government dismantling all death squads. The government also promised to disband the National Guard, the National Police, and any other instruments of repression that they had used. In return, the FMLN would also demobilize and hand in their weapons. On top of this, immunity from punishment for atrocities committed by the army came to an end. A Truth Commission was to be set up to investigate the various atrocities committed on all sides. All parties signed the deal in Mexico City on January 16th, 1992, with the promise that the ceasefire would begin on February 1st of that year. That ceasefire is still in effect today. Since the war ended, the 1990s and the 21st century have given El Salvador mixed fortunes. On one hand, the country has worked hard to put its catastrophic war behind it and come together as a nation. Economic reforms have worked to break down the differences between the haves and have-nots that were a major cause of the war, to begin with. El Salvador has also become one of the leading countries in the green revolution and the fight against climate change. It’s the only country in Central America that is experiencing reforestation rather than deforestation. El Salvador adopted the US dollar as its currency in 2001 and inflation is the lowest in the region. In many aspects, El Salvador is looking up. But crime has become a major issue in the country and a serious hindrance to outside investment. 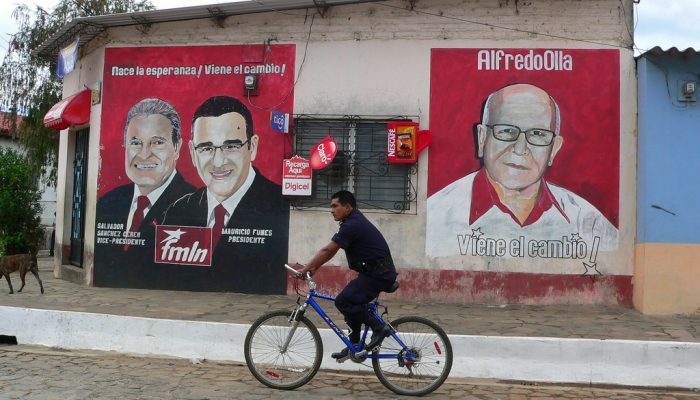 The future of El Salvador as a democratic, multi-party country looks good. The war is recent enough that many people know for sure that they don’t ever want to go down that route again.